We can design a property brochure that will sell your homes. Renowned by Developers and Estate Agents nationwide, Designers Up North are experts at creating stunning brochures to sell your property. The first and most important challenge when selling properties is getting a potential home hunter through the front door. This is where a stylish property brochure comes in as it can sell a lifestyle like nothing else, presenting bricks and mortar as a practical, welcoming and comfortable environment crying out to be lived in. If your portfolio is highly desirable and in the top price bracket, your marketing material should reflect this – customers in the market for prestige homes would expect nothing less. 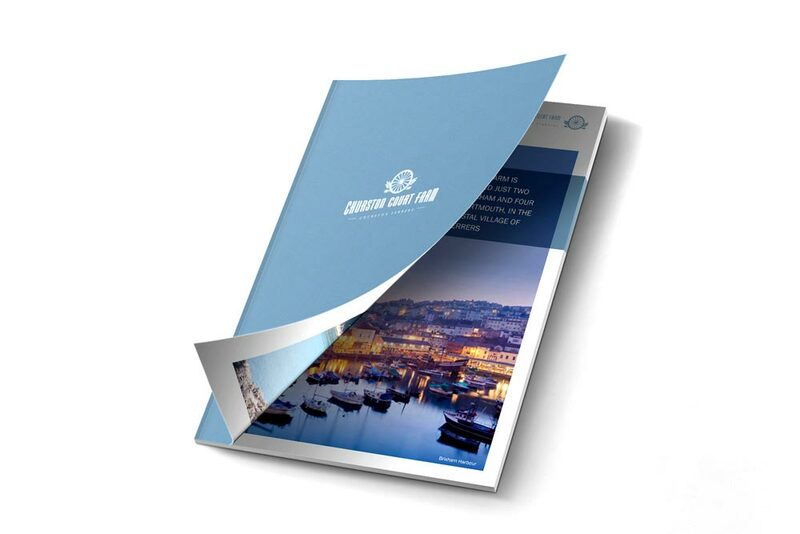 We never use a purchased property brochure template. A poorly designed, ugly and cheaply printed brochure will undo all your hard work and suggest that the properties are not as high quality as they claim to be. 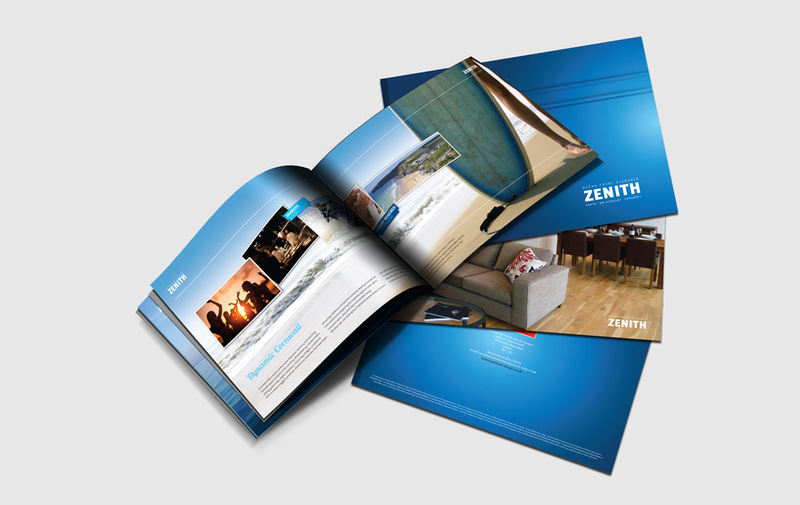 Each brochure design is unique to your business. Before a customer first views a property, they will want to be sure that it is in sync with their vision of their ideal home. Through a combination of sophisticated photography and classy design, each room will jump out from the page and invite the reader to view the environment first-hand. 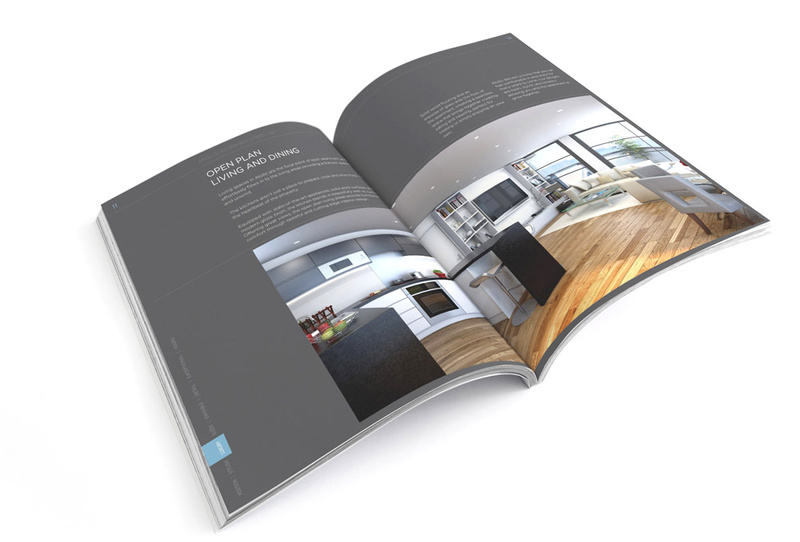 Take a look at some of our property brochure examples here. Once this is achieved, you’re well on the way to a sale. Property brochures can be dull and lifeless, or just a replica of one another. Bespoke design and print will enable your company and your properties to stand out from the crowd, either through an innovative finish, an unconventional size or a daring concept. Selling homes is so competitive you can’t afford to be one of the ‘also rans’. Alongside stunning visuals, the copy will need to help you seal the deal too. Bland lists of fixtures and fittings are no longer the norm, with customers expecting to find out more about the location, history of the development, future plans and company credentials, all within the confines of a property brochure. Overlook readability at your peril. Just as each property development is different, so should its brochure. Add to this the specific requirements of a developer then it makes sense for us to be good listeners and receptive to your needs. The outcome of such a collaborative effort will mean Designers Up North will deliver a property brochure that will more than match your expectations. Designers Up North are specialists when it comes to marketing your property or new home. 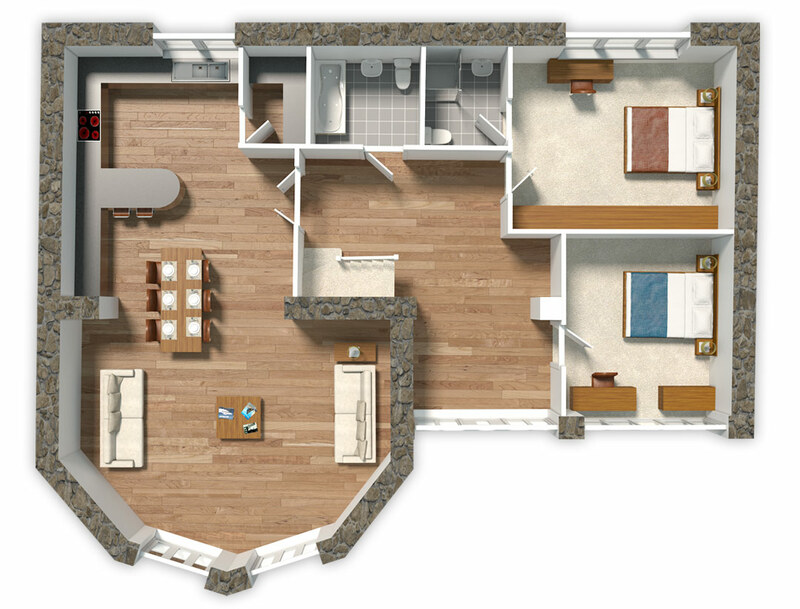 We use illustration skills to draw up your floorplans, the siteplan, location maps and also the stunning architectural CGi’s you see shown below. Need help creating something magical for your property brochure? Get in touch today. Selling your homes requires more than a property brochure. Using hoardings and sales boards backs up your brand for those potential buyers that visit your development. This essential element helps sell your homes and ensures your new homes development is easily found. With Designers Up North I'm confident I'm getting high-end results without the price tag. He's great to work with, I can't recommend him highly enough. We have worked with Designers Up North on a number of projects and they are very professional and offer an excellent level of service. The design work is superb and hopefully we work together a lot more in the future. Very talented, skilled and creative designers. Have taken my vision to new heights. Their eye for detail and passion for the job are 100%. Everybody needs a Jim in their life. Everything runs so smoothly with him to call. His creativity, professionalism and knowledge impresses everyone that meets him. I cannot recommend him highly enough. Grow your business today. Get more Traffic. More Leads. More Sales. We know all sorts of ways to grow your business. If you ask us, we’ll tell you about them. We are not a design agency. We are a collective of vastly experienced creative professionals. Each of us has years of experience in our respective fields and have worked in design agencies countrywide for clients local, and nationally. Commissioning freelance designers ensures you are just paying design fees - Not ground rents, project managers, administration staff or cleaners. Not water coolers, air conditioning or fancy warehouse studios. With designers, web developers, photography, copywriting and CGi artists all working together as a co-operative, you can be guaranteed agency quality work, at freelance prices.